Matt was born and raised in Orange County, and received his undergraduate degree from California State University, Fullerton. He has always been interested in technology, and saw the need for organizations to establish modern, engaging online presences. As such, Matt began his career as an online marketing contractor, collaborating with executives to grow their online footprint across a range of digital platforms. His commitment to organizational growth, strong communication skills, and data-driven strategy helped him deliver quantifiable results to businesses across industries. Matt’s background in online marketing led him to understand the need for experienced technical professionals. Recruiting was the natural progression of his skill set, and he currently works with corporations to introduce them to the most talented candidates in their field. 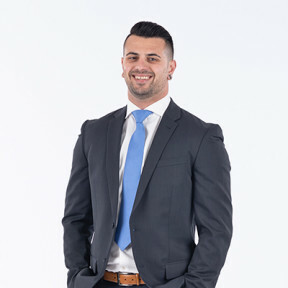 Matt’s commitment to understanding his client's unique needs, his passion for recruiting, and CyberCoders sophisticated proprietary software allows him to quickly provide his clients with the ideal candidates for their positions. When he isn’t placing candidates, Matt enjoys playing guitar, working out, and going to shows. Malazan Book of the Fallen, The Selfish Gene, anything - just read a book!